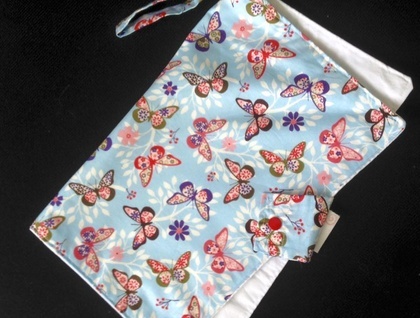 This nappy wallet fits about 4 disposable nappies, plus a travel pack of wipes and a change mat. Would fit a couple of reusable nappies. Can also fit the plunket book so you have it handy. Easy to wash if need be. Makes a great baby shower or new parents gift.